HorseDream Canada works with corporations, businesses, non-profits and the public sector to build customized leadership training and team building opportunities for your group. We customize our programs to the needs of your organization. We will consult with you prior to your event to prepare a seminar that best suits your team's goals to set the scene for an exceptional learning experience. We offer a variety of one-day or multi-day packages that will set the scene for an exceptional learning experience. We can facilitate trainings for whole teams with varying levels of leadership and positions, or take a more horizontal approach, such as a training that targets middle-management or a specific committee. 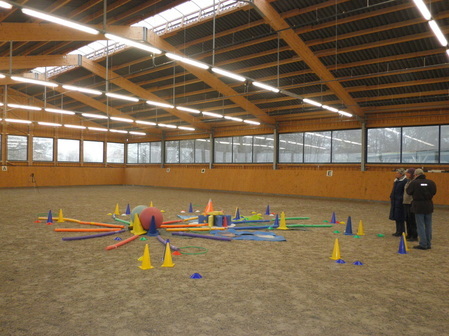 Our customized sessions engage you and your team in a combination of ground exercises with the horses and facilitated learning segments of theory and practical application, designed around one or more fundamental principles in how you lead, follow, communicate, and connect with others. The exercises allow you to experience at whole new levels of awareness the ways in which you conduct yourself as well as the messages you send out, sometimes unintentionally. Debriefing sessions help you and your team recognize and internalize the lessons learned by exploring direct parallels between what happened with the horses and what happens in "real life," individually, as a team, or as an organization. We will work with you to build an event that meets the vision and goals of your team. Please note that we require a minimum of three weeks advance notice for proposed seminar date(s). 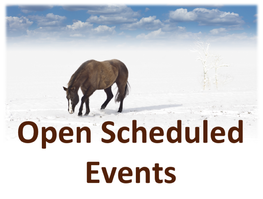 Visit our event calendar to sign up for upcoming events that are open to individuals.